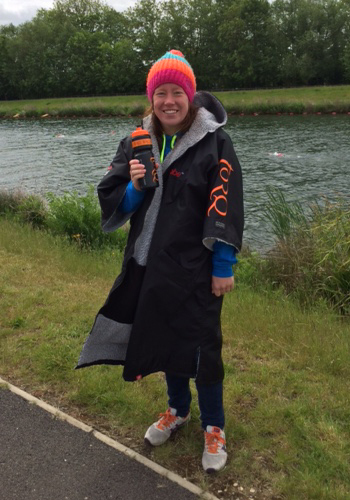 Eton Dorney was again my first race of the season, and at 10km, I wanted to be fully charged and ready to go. The wetsuit race set off at 9am with a large field, then at 9.15am, the “skins” 10km were started – all wearing green caps. There were a couple of speedy guys who I tried to stay with, however, I found myself falling back and then Rachael Lee also pulled ahead. This then meant I was mainly swimming my own race, which I definitely enjoy less, as without someone to challenge, I find it harder to keep the pace up on the longer swims. 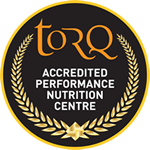 However, I continued to push it hard and after 5km I was definitely ready to stop for a quick feed of my Torq Energy and a Raspberry Ripple Gel. The wind had picked up quite a lot and so the water was choppy, at times it felt more like the sea. As the race went on, I overtook and lapped quite a lot of swimmers from the different races – as the 5km and 10km were on the same course. As usual, I found this quite a good motivator – despite the occasional squeeze between buoys! I had another feed at 7.5km to boost my energy, and found I was still out on my own in the green hat race. My final time was 2 hrs 38 mins, which is a bit slower than last year, but I was pleased to finish in 2nd place, and first female in my Age Group. Having looked at the full results, the majority of swimmers seemed to have added time on versus last year. It was also great to see fellow team mate Georgia Amison, who had had a pretty brutal race and also finished 2nd (in the wetsuit race), so all in all a good start to the season, and ready for more in the coming weeks.